In dating we all have this way of rationalizing the worst behaviors and qualities when we are on the verge of a breakup. But some of these rationalizations you really do need to avoid when dating. I’m not sure the exact reason that we do this, but I do know that I’ve heard countless amounts of “buts…” from my friends, my clients and others. 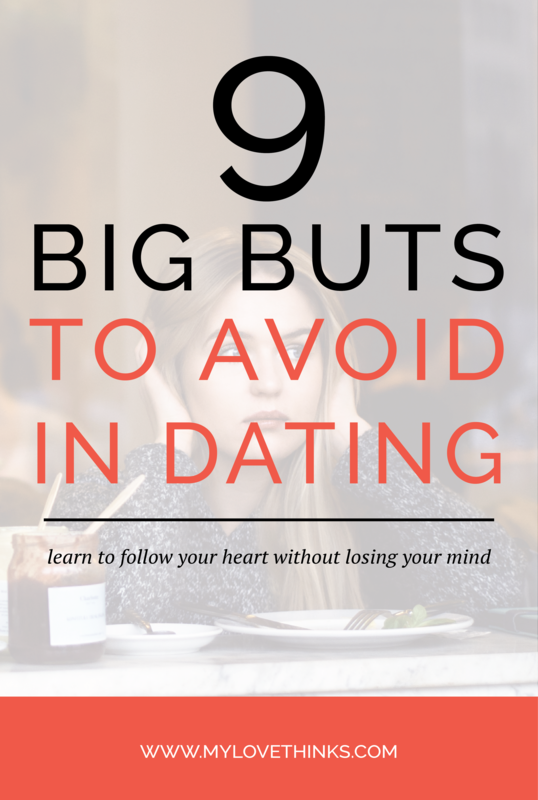 So here it is 9 big buts to avoid when dating. This one is oh so common. And is fueled by worry and anxiety that you will never find someone who loves you “this much” again. Here’s the thing, love alone is not a good enough reason to stay in a relationship that continually hurts you. And know that you will be able to find someone again, even though it may seem like an impossibility at the time, who loves you. And who loves you better! This is the other side of number one. Staying in a relationship because you love him/her. Trust me, I get that ending a relationship with someone that you love is one of the most difficult things to do, but it is truly necessary sometimes. Read more on ending a relationship even when you’re in love here. I hate to say this but love isn’t enough. It isn’t enough to make up for the unhealthy patterns in your relationship or in your partner. And please hear this: love is not a sign that you should stay in a bad relationship! Uh the hope of someone you care about REEEEALLY making the change this time is such a roller coaster ride. You may have heard it a million times but still the promise of change ignites a little bit of hope. I get it!!! Here’s a good rule of thumb. If he or she promises to change, give them a chance… around three months. If you see consistent effort, some gathering of new insights and working on their issues, then let it play out and you can hold onto some hope. If the pattern continues to repeat and their efforts subside after the threat of you ending the relationship has died down, then chances are your partner will not change. Two or three chances are ok, any more than that you are wasting your time and energy on someone who is resistant to making a meaningful change. This one is such a big disappointment. You finally meet someone and “on paper” they seem like perfection. This is not a good reason to stay. Checking all your boxes for the sake of checking them will not ultimately lead to a happy and fulfilling relationship. Revisit your list of ideals in a partner and put some thought into what it is that really isn’t working about this “perfect” partner. Because if it’s not working, you may not want to stick around. 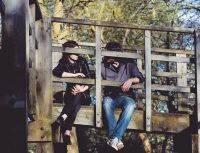 It can be really tough when you’ve combined your social circles or found your “home” in your partner’s group of friends, but this really isn’t a great reason to stay in your relationship. Sometimes you will find a way to maintain these friendships and sometimes you won’t. Insightful, I know. But when you lose some friends, then make it your goal to reach out and build some new friendships. Change may be a bit uncomfortable, but in this case it is necessary. It just makes sense. The more you’ve invested in a relationship, the harder it is to get out. It doesn’t necessarily make it any easier. Even social scientists have come up with a term for this called structural commitment, which includes different pressures and constraints that motivate the reasons why someone stays in a relationship. Listen this one is going to be hard. It is going to hurt. But you can be assured that you’ve given the relationship enough time to see whether or not it is the right relationship. You can be confident that you’ve given enough chances, spent enough time seeing patterns and you’ve really thought it all through. The hard part is just going through with it. Don’t let “but we’ve been together forever” be the only reason you’re staying. I realize this is a counter-cultural perspective on living together, but the preponderance of research strongly shows more risks than benefits (the only exception seems to be when you’re wedding date is set and you’re getting married soon). I’d be happy to put a post together on this for another time. But one of the primary risks is that living together is entrapping. Maybe it doesn’t seem that way at first, but eventually, if the relationship goes south, living together is a major deterrent to getting out. It just makes common sense, that if you’ve combined your stuff, your bed, your expenses, your routines and whatever else, it’s that much harder to separate and you’re that much more likely to compromise. So I tooootally get it, if you’re living together it is a major hurdle to getting out of a relationship that isn’t working. But if it isn’t working while you are living together, then bite the bullet and find a new place to live! Good for you for caring! But give your partner some credit for being a bit more resilient. They will move on eventually and so will you. Dragging it out when you’re really done can be more hurtful than speaking the truth in love. So, there are exceptions and there are rules. If your partner does something once, twice or three times maybe it is an exception and it really isn’t like him or her. 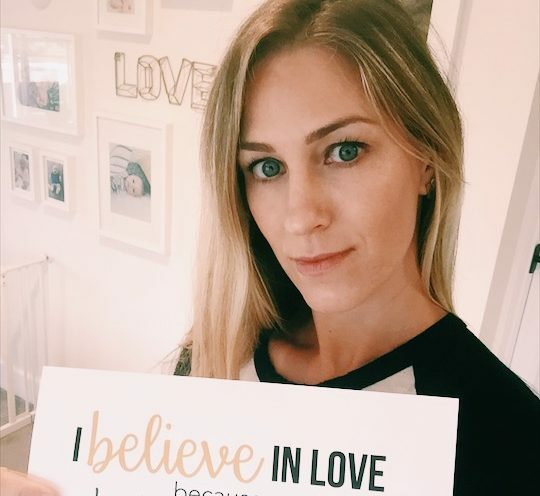 However, if your partner is doing something that is hurting you or the relationship repeatedly, time and time again, then it IS really like him or her. Problematic patterns are just that: problematic. And if you’ve brought it to her or his attention and the change still isn’t happening, then you have to decide if it’s something you can live. But make that decision knowing that what your partner keeps on doing really IS like him or her. P.S. If you like what we have to say here, then you will love our new online course: Head Meets Heart. 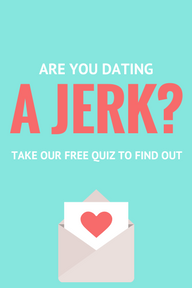 Learn how to identify red flags before you’re blinded by love and how to tell what is a problematic issue versus when you should give your partner more chances. You can check it out here.